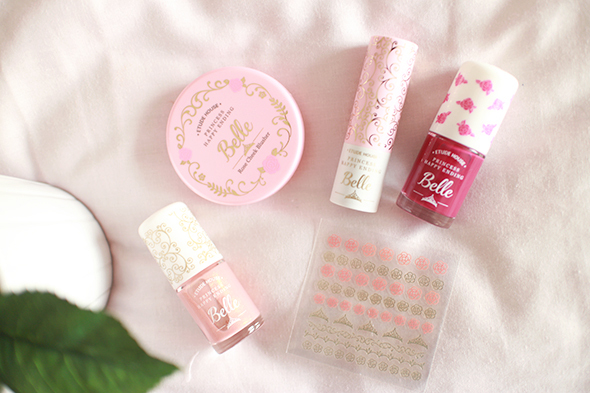 Within the Belle range there are two blushers, two nail varnishes, some nail stickers and a lipstick. I ordered everything except for one of the blushers, which didn't appear to be available in the eBay shop I buy from. 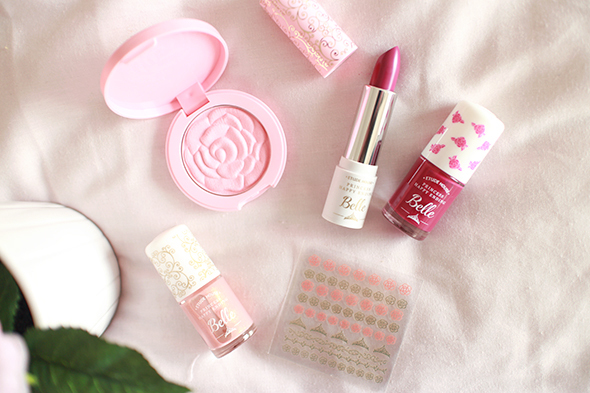 I'll start with the blusher, Pink Rose. The packaging, as expected from Etude House, is beautiful. The outer box is shaped like a book, and the product itself is pink with gold detailing. It's a pretty pale pink, best suited for lighter complexions as it takes a few sweeps to build up the colour. Once on it creates a healthy looking glow with no patchiness and avoids looking cakey. The nail varnishes in the collection are surprisingly impressive. The purple applies evenly and pretty much opaque in one coat. I love how it corresponds with the Purple Rose lipstick. The second is a peachy pink with gold shimmer running through, While this one takes a few coats to fully cover the nail, it looks lovely on. I don't have anything like it! Both dry very quickly so they're fuss free. 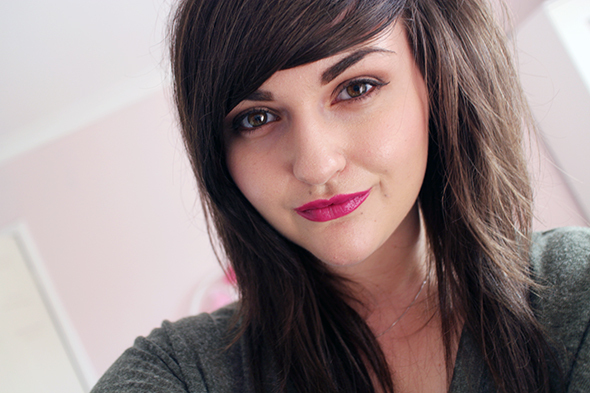 The lipstick in Purple Rose is my favourite. It's bold and stands out without looking garish, and it's really flattering. The formula is amongst the best I've ever tried; it's creamy and glides on as effortlessly as a lip balm, but retains the pigmentation of a full coverage lipstick. It's not drying on the lips and stays put for a good 4 hours or so, wearing off after eating or drinking and leaving behind a stain. All products from the Happy Ending collection are affordable at around £6-7 each, with the BB creams priced at around £10. You can find them here. Side note: When browsing through the products on this particular eBay store I've noticed that the Apple Red lipstick is priced at £58.51. I'm certain that this is a pricing error however just be careful when ordering! I've never had any problems with this seller in the past year and a half. This collection looks so, so stunning! Everything from the packaging to the products themselves look great. It's so adorable, I love it! It's not one for the back of the drawer, that's for sure. 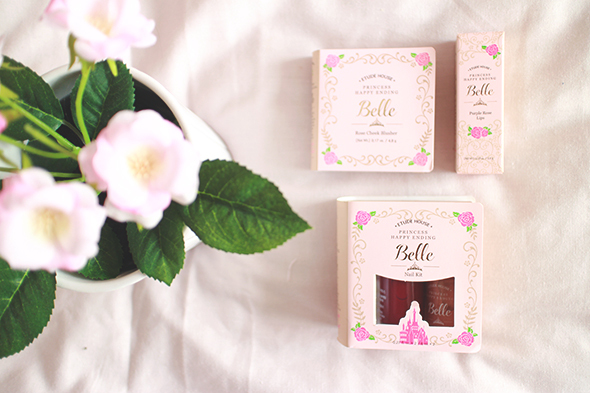 LOVE Etude House, everything is so cutely packaged this looks amazing! The high street products in the UK don't really appeal to me that much so I always order from Etude when I want a few cheaper pieces, I love them!